Today is a happy day as Player One Start is now four years old. What started as my personal playground of writing fun on the Internet has, well, not really changed. It was never meant to be more than my own space in this mental digital age we live in. But it has persevered and stayed updated whereas so many other blogs have ended up neglected and abandoned in the cyber-cold. That’s something to be happy about. So what’s happened in four years? Well, the world has been collapsing economically and some unlikeable politicians have been replaced by more unlikeable politicians. But as far as games are concerned there have been some big developments. There have been some cracking titles released in the last four years, including Grand Theft Auto 4, Metal Gear Solid 4, Portal 2, Red Dead Redemption, Mass Effect 2, Uncharted 2 and Splinter Cell: Conviction (well I liked it). Of course, the worrying trend here is that all of these critical successes are sequels, although in their defence, the original Uncharted, Portal and Mass Effect only just miss this four year window by a few weeks as all were released around this time in 2007. The point is I’m struggling to think of an original, break through title that has enjoyed the same level of critical acclaim over the life of this blog. The one that springs to mind is Batman: Arkham Asylum, which really took the world of Batman and applied it successfully to a game. At the moment we are in a climate where new ideas are serious risks, especially when you can re-tread old ground with an established IP and find success. It’s a real shame that Bulletstorm didn’t sell well because that was a great game with a new setting and character set. Possibly not the most original idea in the world, but it was still brave enough to try and be different. Call of Duty has crumbled for me over the life of this blog. I loved Call of Duty 4, a brilliant game with fresh ideas and incredible set pieces. Then came World at War, not quite as good, but it had a flame thrower and Kiefer Sutherland. Modern Warfare 2 had the appeal of a microwave meal being reheated after its initial zap and Black Ops lost me completely. I try not to hold grudges, but a regurgitated Modern Warfare just doesn’t interest me. Mass Effect 2 was more addictive than cigarettes and sweets when it first landed in my disc tray. It must have stayed in my console for about two or three weeks straight as I battled to complete it. Most of my free time was eaten up by the captivating campaign. I was even allowing my Xbox to shut down for 15 minutes every two hours, just to ensure it didn’t cook its components and red ring on me. This leads me to assume that Mass Effect 3’s single player portion will do exactly the same, as it ends Shepard’s tale and hopefully leaves the universe that little bit safer. In an attempt to keep up with the crowed and expand the game’s replayability, Bioware are also adding a multiplayer component for the third game in the series. I can’t help but think how this might interfere with the main game. Assuring us that the multiplayer isn’t just a bolted on afterthought, Bioware has said that it will contribute towards the single player campaign in some way. A galactic control system records your progress in multiplayer and adds to your galactic war readiness rating in the game’s single player campaign, but apparently you can still achieve the game’s best endings without the multiplayer. That being said, this means the system must be balanced so that overplaying the multiplayer doesn’t just make the single player campaign’s best outcomes easy to attain. My concern grows out of one of my biggest and possibly worst gaming habits. I like to complete the single player portion before I move onto the multiplayer. To get the most out of Mass Effect 3, it sounds like I’ll have to break this convention. Unfortunately, if the game is just as compelling as the last two entries in the series, I’m going to find it very hard to break away from the campaign and hit the co-op arena to ensure the galaxy is as ready as it can be for all-out war. My fear is that I’ll get to the tipping point, eager to push the story forward, only for my completion senses to kick me in the brain and force me to play the multiplayer component for hours. This may turn out to be a very welcome and fun break from the main game, but on the other hand the suspense could just as easily hold me by the balls and slowly squeeze until I can no longer bear the dull ache. So my chief concern is that Mass Effect 3’s campaign will be so good that the multiplayer component will be pointless, at least on the first play through. Hopefully the multiplayer will be implemented in a way that makes it just as compelling as the main story. One way to do that will be to allow access to the online co-op features through the main game, and not a lifeless menu option. Making it a seamless transaction like that will help blend the two modes together and really make it something special. The thing I like about rail journeys is that they usually get me where I need to go with the least amount of hassle and effort on my part. You just get to sit back and enjoy the ride until you eventually get off and then continue with life. On-rail shoot ‘em ups are typically like train journeys designed to entertain. You wave a plastic gun at pixels on the screen and have a great time pretending you’re John McClane or Rambo. Time Crisis arcade cabinets and home console editions are classic examples of this done right. 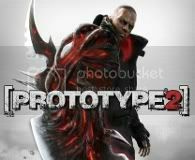 They walk the player through an action intensive environment and ask you to shoot the pop-up gallery style villains using a fun peripheral. Unfortunately, not all on-rail shooters can capture the feeling adequately, especially when they don’t intend to be on-rail shooters. I don’t understand why Battlefield 3’s campaign got as much praise as it did. Don’t get me wrong, I love the multiplayer and have managed to play a little bit every night since its launch weekend. It’s just the campaign seems so funnelled and guided. You might as well be following a track through each linear mission. Battlefield 3’s campaign mode is a dull corridor shooter. Okay, the corridors are riddled with some of the best graphics seen in games and are mostly disguised as wide-open areas, but there is only one route through each mission which will periodically throw bad guys at you in all the obvious places. I was not pleasantly surprised once going through the campaign and found it very disappointing. Modern Warfare 2 is guilty of exactly the same thing, but I had already dismissed that in my head. I had the hope that DICE was going to try something different in Battlefield 3, which since its announcement has been widely hyped as the Call of Duty killer. However, the campaign had gone down the exact same route as the Modern Warfare series, only keeping everything that bit more dull, clichéd and realistic. You might as well be pushed around the levels in Battlefield 3 as there is only one way to go at any opportunity. The only level that offered any freedom was ‘Rock and a Hard Place’, and even straying too far from the determined path in this area would most likely get you killed. I don’t understand how early reviews of Battlefield 3, which were mainly based on the game’s campaign, scored so highly. The campaign is boring, short-lived and unimaginative. Like a train journey, it just felt like you got on, travelled through several areas and finally disembarked at the other side. It had no excitement, no element of exploration and felt quite clinical in its execution. You didn’t even get a plastic gun to wave at the screen.